Secretary General of the Collective Security Treaty Organization. Participant of European Section Conference “Towards a New Euroatlantic Security Architecture?”, 2009. Participant of Russian-Chinese Section Conference “Russia and China in a new international environment”, 2010. Participant of European Section Conference “Central Asia and Afghanistan: Problems and Solutions”, 2010. The official gave insight into the results of the sessions of the charter-based bodies of the Organization held in Dushanbe in May-June and the surprise combat readiness checks in the CSTO Collective Rapid Reaction Force conducted on May 12-19. There is great danger that external forces are increasingly interfering in the internal affairs of sovereign states with the aim of changing these states’ course to suit their own interests. Color revolutions are more dangerous than any other non-traditional challenges, threats and risks to collective CSTO security. The peacekeeping forces from CSTO member states have become an important force for maintaining collective international security. Its plans include establishing a working relationship with corresponding UN agencies in order to add CSTO peacekeepers to the UN register. 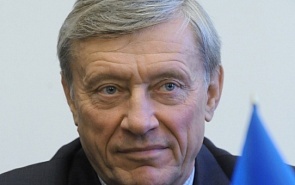 CSTO has the necessary military power to deal with present geopolitical threats. The Collective Rapid Reaction Force (CRRF) and its peacekeeping contingent, together with East European and Caucasus regional groups of forces and the Central Asian Collective Rapid Deployment Force, comprise the organization’s military component.